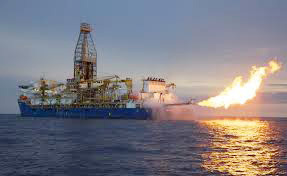 The Mozambican government will earn up to US$350 million in capital gains taxes following the sale and purchase agreement between the Italian energy firm ENI SpA and US company ExxonMobil, APA learnt here on Wednesday. Exxon Mobil is expected to pay US$2.8 billion for a 25-percent stake in Area 4 of the Rovuma Basin, which is rich in natural gas. "On the basis of the information available on this date and provided by ENI SpA the Tax Authority of Mozambique (ATM), the tax payable by ENI SpA will be approximately US$350 million, taking into account that the transaction amounts to approximately US$2.8 billion," said Anibal Mbalango, deputy general manager for planning and studies and international cooperation at ATM at a news briefing on Wednesday. "ENI shall designate a native or legal person domiciled or residing or having effective management in Mozambique to serve as its representative to ATM in order to comply with the obligations to which Is bound by the law", Mbalango added. ENI controls a 50-percent indirect interest in Offshore Area Four, owned through ENI-East Africa that holds 70 percent of the concession. Another 20 percent is held via ENI-East Africa belongs to the Chinese company CNPC. The other three partners, with 10 percent each, are Galp Energia of Portugal, Kogas, and Mozambique's National Hydrocarbon Company (ENH). Plans are advanced to set up a floating liquefied natural gas (FLNG) facility in Area Four above the Coral South gas field. So far, the consortium has invested about US$2.8 billion in Area Four and it is estimated that the FLNG project would cost a further US$8 billion. An agreement has already been reached under which all the gas produced from the FLNG plant will be sold to the British company BP over a twenty year period. The gas offers Mozambique an opportunity to transform itself from one of the world’s poorest countries into a middle-income state and a major global LNG exporter.